I routinely receive inquiries from American companies and individuals looking to retain my services for my expertise on Africa’s fashion industry. Their interest in the industry is usually narrowed to two countries: Nigeria and South Africa, for obvious reasons. As Nigeria prepares to stage the first ever Arise Magazine Fashion Week Lagos; which will be on par with fashion shows at ex- Bryant Park now Lincoln center, I thought I’d give a brief overview of the two fashion markets and where the legal opportunities will be in fashion on the continent. 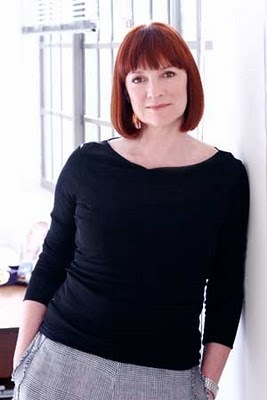 In August 1997, the first ever South Africa Fashion Week (SAFW) established by South Africa’s Lucilla Booyzen was held at the Nelson Mandela Square, Sandton. The event positioned South Africa as the leading African country in edgy fashion and the business of fashion. SAFW, however, was not very inclusive. Indeed it wasn’t until 1999 when the first black designers: Bonga Bengu, Buyani Khoza, Colleen Dubane, Hayley Rasool, Scele Ntshalintshali and Thabani Mavundla showcased their designs at the event. By 2000, SAFW had grown and in fact required a much larger venue. The event continued growing in strength and by 2004, popular names like David Tlale, Stoned Cherrie and Sun Goddess were showing at SAFW. 2004 also saw a shift from fashion to a real focus on both fashion and the business of fashion locally. SAFW continued to evolve and was later able to secure Sanlam, one of South Africa’s leading financial groups, as its title sponsor. SAFW enjoyed the admiration and courting of many on the local and international fronts until new comer Africa Fashion International (AFI) entered into the fashion space. AFI owned by Dr. 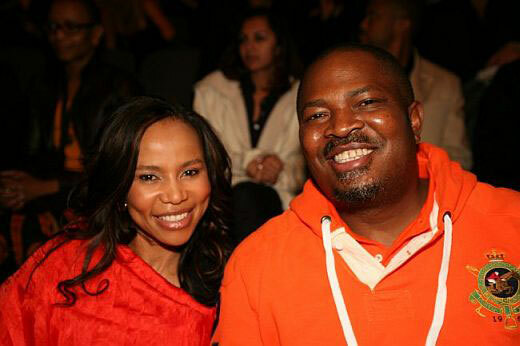 Precious Moloi-Motsepe, a wealthy medical doctor turned fashion entrepreneur, set out to be the leading authority on African fashion related strategic marketing initiatives and African fashion brands. To that end, they began acquiring and producing fashion week shows. AFI now produces Capetown Fashion Week, Joburg Fashion Week, Durban Fashion Week and Africa Fashion Week (AFW). Africa Fashion Week was established as a Pan-African fashion show. In 2009, it secured Arise Magazine as a title sponsor. Arise Magazine was established in February of 2009. For Arise’s AFW SA, Over 50 designers from the continent flew into South Africa to show their designs. Many of these designers could not afford the costs of showing at AFW and that is where Arise came in. AFI also secured Arise as title sponsor for its Capetown Fashion Week show while Audi sponsored its Joburg Fashion Week event. That same 2009, Sanlam, after a long relationship with SAFW, pulled its sponsorship plug. At the end of that same 2009, Arise who announced a five year sponsorship agreement in the beginning of 2009 with AFI, also terminated its relationship with AFI. This year AFI suffered another sponsorship loss with Audi for its Joburg Fashion Week show. What has been interesting to observe is the determination by both SAFW and AFI to move foward, with or without the big sponsors. The producers have also found a way to keep things interesting. 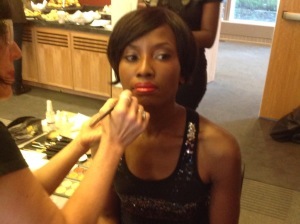 For AFI, in 2010, its AFW reached out to design names in the diaspora which helped it gain more media attention. What’s going on in Nigeria? First, you should read my article titled The Urgency of Now: Putting Nigeria’s Fashion Industry On the Global Map which I authored in 2009 for the reputable NigeriaWorld.com. As to fashion, Nigerians love to have a good time and love fashion. Fashion as a business is not something Nigerians have paid much attention to in the past. You are either a doctor, lawyer or engineer, per your parents’ desires. Nevertheless, the creative fields in Nigeria, within the last four years, have exploded. What’s also neat to observe is the age group of persons who venture into these creative fields. Many of these individuals are older compared to their Western counterparts at the time they begin their journey. Many are degree holders in law, engineering, business or medicine and fashion is more of a second career for them. 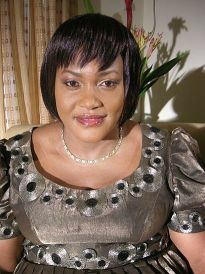 Take, for example, one of the leading fashion labels in Nigeria, Tiffany Amber. The designer Folake-Folarin Coker was an attorney before relocating from the UK to Nigeria to pursue her passion for fashion. It’s a similar story with many of Nigeria’s fashion industry professionals. Back to Nigeria’s fashion landscape. Lexy Mojo-Eyes has, for 16years now, been at the forefront of exposing emerging and established Nigerian fashion designers within and outside the country. Also joining him has been Joan Okorodudu who also has the equivalent of an America’s Next Top Model reality TV Show in the country. In 2009, Arise Fashion and Lifestyle Magazine entered the fashion space. Again, the emphasis was showing Nigerian designers overseas. For three seasons, Arise sponsored Nigerian and other African designers from the continent to show at Mercedes Benz New York Fashion Week and later Paris Fashion Week. This year, Arise joins Lexy Mojo-Eyes and Joan Okorodudu in really attempting to develop Nigeria’s fashion industry with the first ever Arise Magazine Africa Fashion Week show. The show, I observe, mirrors NYFW and Africa Fashion Week SA. 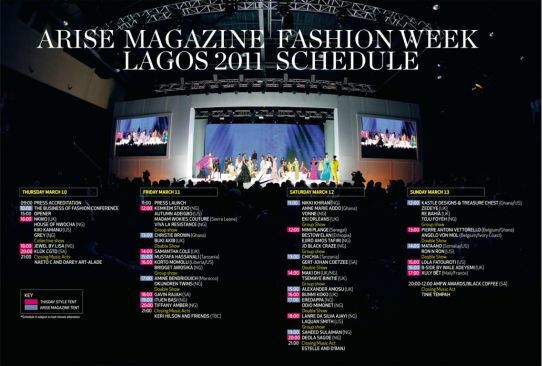 For Arise’s show, practically all designers who showed at AFW will show at Arise’s in Lagos. Africa Fashion Week SA plans to show this July 2011. It will be interesting to see whether the designers, regardless of who foots the bills, think it makes sense to show in SA. Nigeria has over 160million people and despite its infrastructural and corruption problems, it has a thriving emerging middle class and consumers that are ready and able to spend. American and South African companies know this. Will the designers from overseas think the same? Will they focus only on showing and selling to Nigerians, skipping SA? Time will tell. So, what are the business and legal issues raised/anticipated as the business of fashion continues to explode on the continent? Business of Fashion: In both Nigeria and SA, there is a need for fashion lawyers who understand the business of fashion. Areas include: Manufacturing (a sore point in both fashion industries), working with legislative governmental organizations to craft appropriate legislature and seek funding for the fashion industry as a whole, teaching of entrepreneur principles and skills, sorting out the kinks in distribution, among other things. 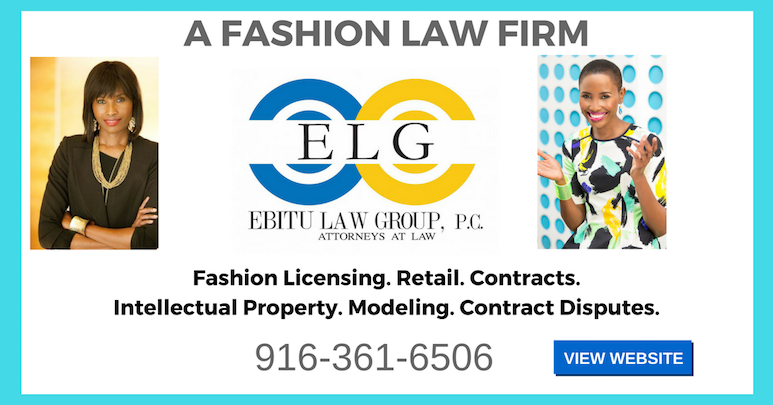 Business incorporation: Like fashion businesses here in the States, African design companies and investors looking to do business with the industry have to set up the proper legal entity whether they be in SA or Nigeria. Employment Law: employment and labor regulations affecting the work place will become important. The Western fashion industry struggles with this and I expect similar issues will arise in Africa’s. Intellectual Property Laws: Trademark and copyright issues, among others ,will need to be sorted out. Commercial Agreements: I anticipate an increase in commercial agreements by designers with manufacturers, retailers, factories, among others. Import-Export Issues: – Many SA and Nigerian designers import fabrics from Europe. Opportunities exist for attorneys to help with compliance of regulatory rules to clear designer goods at customs, among other things. Leasing Agreements for Retail Space: Designers in both SA and Nigeria are now opening flagship stores. Accordingly, fashion lawyers in these countries will see an increase in demand for commercial agreements for retail spaces. Fashion Licensing- Africa is yet to produce its own Christian Dior, Givenchy, Marc Jacobs or Donna Karan brands. By that I mean recognizable brands that can and are licensed worldwide. Brands like David Tlale (SA) and Jewel by Lisa (Nigeria) have the potential to set the historic pace in that sense. My instinct tells me the licensing won’t, however, be African brands licensing their textiles and apparel items to the USA, for example. It will be the reverse, that is foreign investors will look to penetrate Africa’s textile and apparel industries through these brands. These brands with strong brand power on the continent can then, overtime, attempt penetration into the USA market. For a schedule of Arise Magazine’s show , click here.